The following report was provided by Felix Rozanski, based in Buenos Aires, who is the Coordinator at the Study Center CEDIQUIFA and Secretary of ASDIN (Intellectual Rights Association). The Sixth Annual Latin America Seminar on “The Value of Intellectual Property for Innovation and Health” was recently held at Cayetano Heredia University in Lima, Peru. A varied group of public officials, judges and experts from throughout Latin America gathered to discuss the promotion of innovation, particularly from the perspective of the legal tools offered by patents and other rights available under the intellectual property regime. The process of awareness about the value of innovation and intellectual property can be said to have started in Latin America with the conclusion of the negotiations over the establishment of the World Trade Organization and TRIPs Agreement in 1995, this despite the fact that portions of these arrangements were (and to some extent still are) strongly resisted by many emerging economies. The bilateral trade agreements concluded with the United States after TRIPs, the educational campaign implemented by WIPO, the support provided by the lines of credit made available by the World Bank and the Inter-American Development Bank, as well as lessons learnt from the success of such countries as Israel, South Korea and Singapore, have been key contributory factors. It is encouraging to note that a number of Latin American governments are giving explicit recognition to the crucial importance of innovation for increasing competitiveness and promoting growth at the national level. Therefore, although the proportion of investments directed to promoting innovation is still relatively low, the trajectory is positive and at an increasingly higher rate. Thus, it is currently estimated that investment in innovation in the region as a whole is 0.68% of the growth domestic product (GDP) (versus between 2% to 4% in more developed innovative economies). Only Brazil has reached a level of investment of more than 1% of GDP (albeit before its current economic crisis). In particular, the pharmaceutical sector continues being a major actor in private R&D investment. For example, in Chile, R&D in pharma and biotech is at the top of private investment in innovation (14.38%), followed by software (9.86%). Still, Latin America continues to wrestle with the problem of how to attract private investment for R&D activities in the region. It is officially estimated that two-thirds of investments in innovation are made by the public sector, while informal estimates suggest that private investment is only about 20% of the total R&D. Regarding how innovation is promoted, each country in the region continues to set its own policies. For example, Peru has approved new tax incentives for R&D investments, effective as of January 1, 2016. Argentina also developed a scheme of providing tax benefits to promote biotech projects, but the law was not implemented. In Chile, research by the public agency CORFO has revealed that R&D-subsidized projects tend to cease as soon as the subsidies come to an end. In Ecuador, an innovative government scheme to hire retired senior experienced researchers to train and help design projects is facing strong headwinds in the face of plummeting international oil prices. At the intra-country level, there is little coordination among the relevant national agencies in designing and implementing innovation promotion policies, and often such agencies work at cross purposes. There is even less collaboration among countries in the region; mistakes made in one country may be simply repeated in another. An independent Observer monitoring the processes of innovation in the region may be helpful. Such a proposal was made during the Seminar to the Peruvian representative of the Pacific Alliance Free Trade Agreement, comprising Colombia, Chile, Mexico and Peru. Indeed, the Pacific Alliance may be a good opportunity for more extensive collaborations, but to bring it to fruition both the academic and private sectors will need to be more actively engaged. At the enterprise level, only a few firms with activities across Latin America are involved in innovation. On the whole, private companies in the region still must still work on how to develop an innovation culture. Designing realistic long-term innovation strategies is necessary as is better training of staff to support such efforts. As mentioned, finance for innovation projects continues being scarce and while there are many startups in the region, few can be described as engaged in technology. Still, the forecast is that more Latin American companies will be investing in R&D in the future. As for IP, the biggest challenges are fragmentation at both the intra-national and transnational levels within the region as well inconsistent treatment of IP rights. 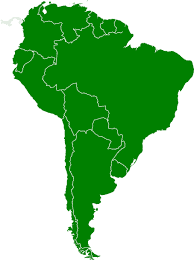 For instance, regarding incremental inventions, such as new uses, there are substantial differences in the way that Mexico and Brazil deal with them, on the one hand, as compared with Argentina on the other, which provides thin patent protection for pharmaceutical and biotech inventions. Moreover, studies point to the fact that IP rights and the advantages that they offer for innovation and development are still poorly appreciated by public and private researchers in the region. At the most basic level, empirical data indicate that better IP effective protection means more foreign direct investment, which is essential for the region, even more so when growth is slowing. In this vein, the myth that patents work against access to medicines is strongly entrenched. In addition, confusion reigns between the process of patent grant and health-marketing authorization. The result is that there are far too few patents being issued. It is estimated that Latin America registers annually a total of 1,400 national patents. In contrast, a country such as South Korea, with less than 10% of the total Latin American population, registers more than 20 times the number of patents. Against this backdrop, the promotional and educational efforts made by the various national IP agencies should be expanded. A particularly interesting panel at the Seminar dealt with compulsory licenses. The panel discussed the regime currently applied in Ecuador, where 33 applications for compulsory licenses of pharmaceutical products have been filed, out of which eight have been withdrawn by the applicants, five refer to patents that have ready already expired, ten have already been granted by the Patent Office, while the rest are in the grant process. In contrast, in other Latin American countries, such as Peru and Colombia, applications for compulsory licenses have been far less successful due to the failure by the applicants to provide sufficient supporting the request. Moreover, the regulatory regime for the compulsory licenses in place in Ecuador (Instruction 10-04 issued by IEPI, the I.P. 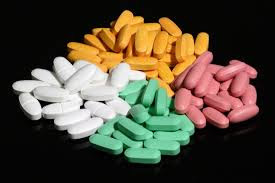 Agency) is not consistent with international and national legislation, with the result that the granting of compulsory licenses under this provision has the perverse effect of de facto abrogating rights in pharmaceutical patents. In doing so, the end result is to send a negative message to foreign investors as to their property rights in Ecuador. As for the protection of test data, the regulations in force in those Latin American countries that do accept test data protection for the registration of pharmaceuticals by the health authorities restrict such protection to new molecules. Here again, there is a contradiction between government efforts to promote innovation while, at the same time, not providing data protection for incremental innovations, which may well make more sense for developing countries than the invention of an entirely new molecule. In this regard, it is noted that Argentina and Brazil do not grant any type of test data protection for pharmaceuticals. Overall, the principal take-away from this year’s seminar is that there is much work to do in the region to meet the challenge of attracting more private R&DS investments for innovation. 1000 Angels hit the skies!